Top 5 Natural Products To Pack! Top 5 Natural Products To Pack! While saying I am a super health guru would be completely false, I am very conscious of the type of foods I eat, fitness goals, and the products I use. With traveling, it's important to actively (and not passively) stay healthy, clean, and safe. In order to do this, it's suggested to use natural products to pack when traveling in order to remedy any issues you may encounter. When traveling, the luxury of individual items can be too large to carry on or may not meet TSA standards. Because of my limitation, I try to pack wholesome, healthy products that can be utilized for some uses and easy to carry. 1) Dr. Bronner’s Castille Soap: This stuff is AMAZING! The packaging alone says there are 18 uses for the product. With the 2 oz, it is small enough to carry-on in your toiletry bag, but packs a huge punch! With 2-4 drops, you can use the castile soap to shower, as a laundry detergent, and even as toothpaste! 2) Raw Shea Butter: This stuff is something like the Holy Grail. Shea butter has been used for hundreds of years to treat eczema and other skin conditions. When I travel, I use shea butter as a natural sunscreen, lip protectant, and to treat minor scratches, blemishes, and dark spots! Make sure to get raw shea butter and not any type of additives like petroleum. 3) Tea Tree Oil: This oil has long been a favorite natural remedy for acne, curing ringworms, soothing sunburns, curing athlete’s foot, and the list goes on. You only need a few drops to go a mighty long way! Be sure to get the pure, undiluted version to get obtain the best results. 4) Cinnamon: With its natural anti-bacterial properties, for centuries, cinnamon has been used for its amazing healing properties. 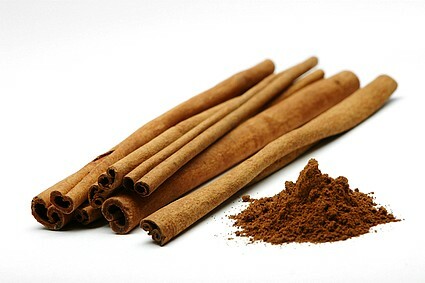 If you have the horrible stomach flu or feel a cold coming on, boil cinnamon sticks to make a tea. The fast-acting cinnamon with begins working immediately, aiding in quick relief. Cinnamon is also known to help lower blood pressure and cholesterol and is perfect for fighting foodborne illnesses like salmonella and e-Coli. 5) REPEL Lemon Eucalyptus Repellent: When traveling to primarily tropical or warm areas, it is important to have a repellent to fight against pesky mosquitos, ticks, and fleas! I love this repellent because it is natural, utilizing lemon and eucalyptus oils. The 4oz can be split into two small spray bottles to take in your carry on. What are some of your favorite natural remedies used when you're traveling? BEST 10 Apps For the Traveler in You!